Hello and welcome to this month’s Creative Blog Hop where I team up with a great group of talented bloggers to share ideas based on the same theme. 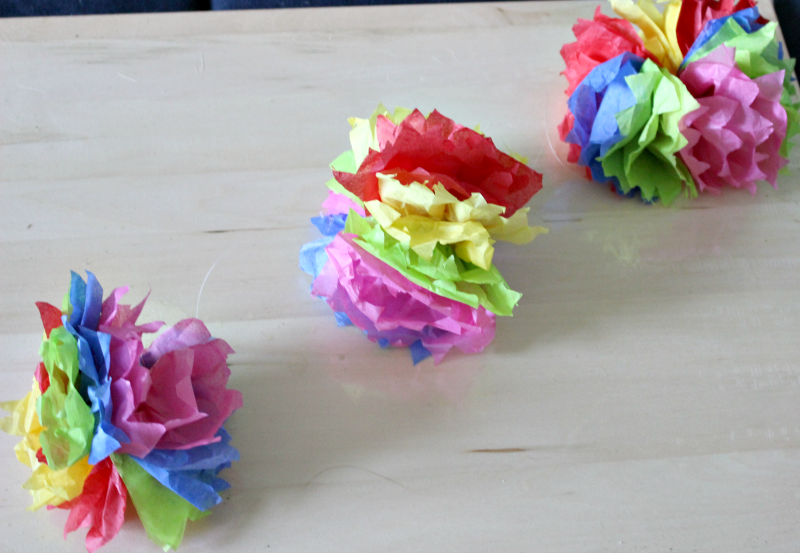 This month’s theme is paper so I will show you How To Make DIY Hanging Tissue Paper Flower Garland. We are having a Mexican Fiesta themed Graduation party so I went with bright colored tissue paper for this garland. It will be hung across the front of the food table. I have never made tissue paper flowers before and I have to say it was a lot easier than I thought. There will definitely be more of these in soft colors that I am drawn to! Let me show you have easy it is. The tissue paper was bought at the Dollar Store and worked fine for this, but if I was going to keep it up for any length of time I would probably buy it from the craft store so it has a little more weight. 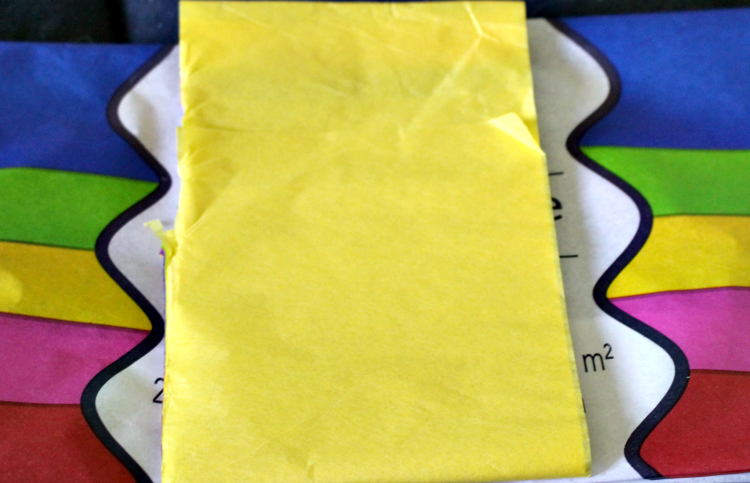 Simply cut the paper in four sections. If you have good fabric scissors or a paper cutter you can cut them all at once like I did. It makes it so much easier. You can sort colors however you like, but I chose to include all the colors to make it bright and festive! I used about 10 pieces for each flower. 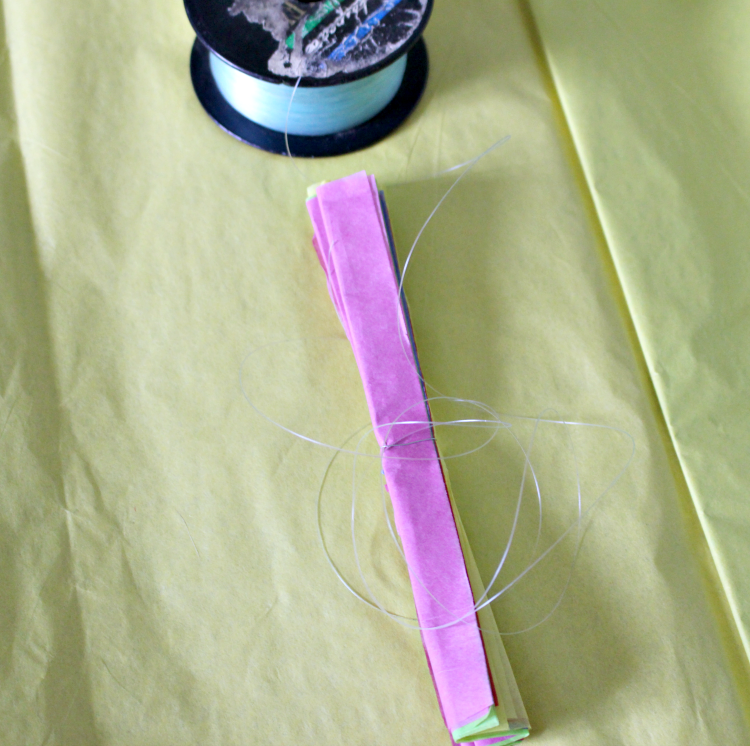 Next fold it accordian style and use a piece of floral wire to tie it in the center. As I am hanging it, I attached fishing wire to each one. 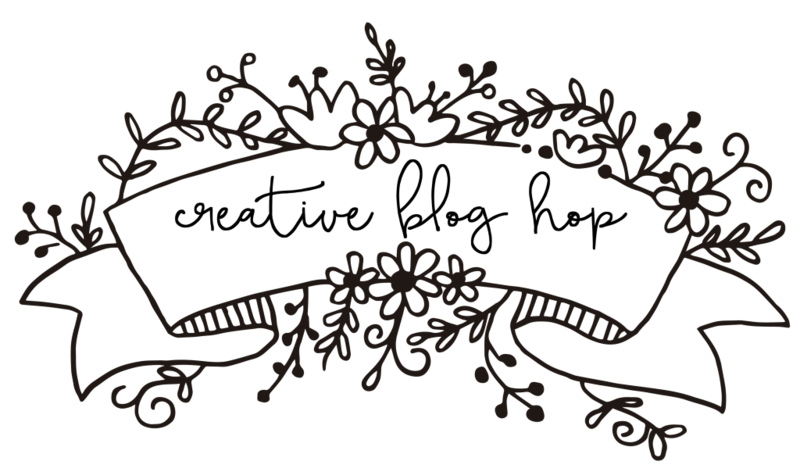 You can also cut the ends to give it a shape that you like, either oval or pointy like I did. I plan to go with oval next. 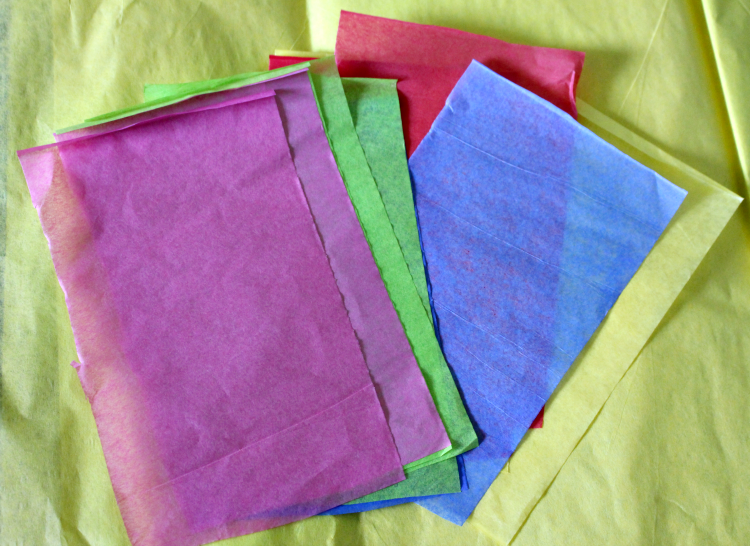 Then it’s as simple as just fluffing each tissue paper out on each side! 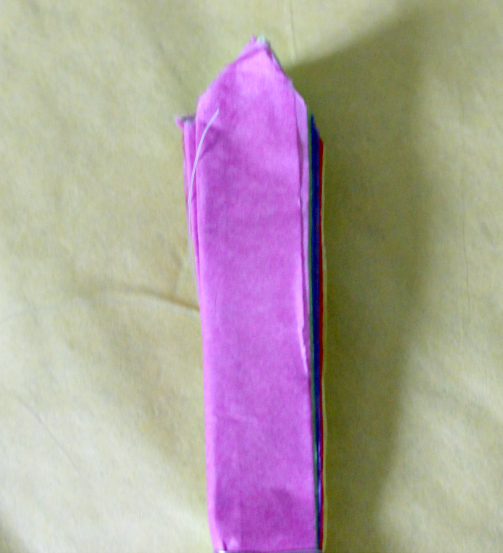 As it is tissue paper, just be careful not to tear it. Once the garland is set up at the party next week, I will update the photo showing it hanging up. You can definitely make a bunch of these at whatever size you like in no time. Plus, you can’t beat the cost. Imagine large ones hanging from the ceiling in a little girl’s room. How about a decorative mobile made out of tissue paper flowers? The possibilities are endless! Be sure to check out the other paper projects shared below! Have a great day! Michelle, I made some in big for my girls room and you are right, they are so easy to make and really look great as permanent decor as well. 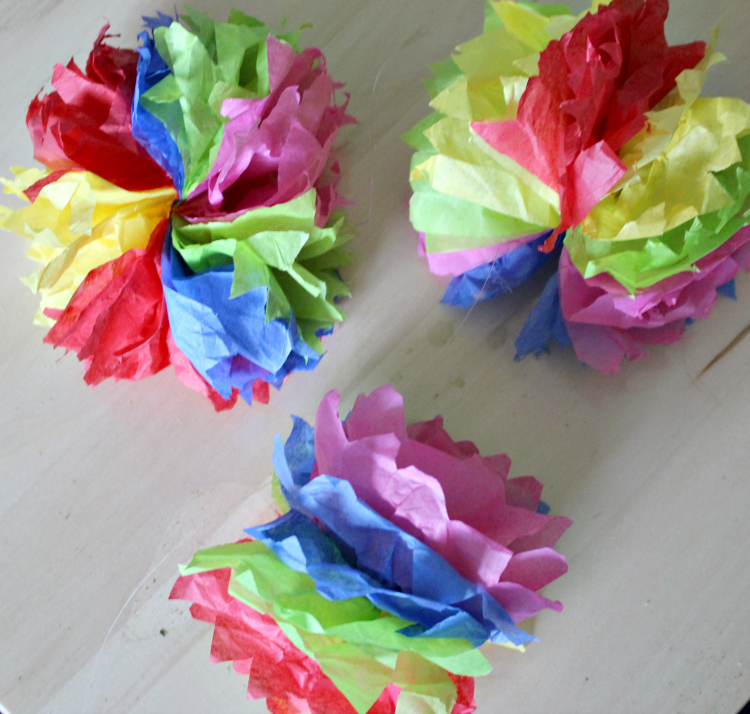 I really like your smaller, colorful ones and the idea of making the garland with them. So cute! I remember growing up ad making those cute and fun flowers. So pretty! Love that you have a Mexican themed graduation! Congrats to your child!!! Love your project and thanks so much for joining us! How cool! What a fabulous theme for your daughter’s graduation! Bet you all had lots to celebrate and enjoy! I love all kinds of flowers and these are no exception. It will really make the party so festive. Love these! I’m actually making large pom poms this week for a girl scout ceremony, I never thought to make a garland what a fun idea. 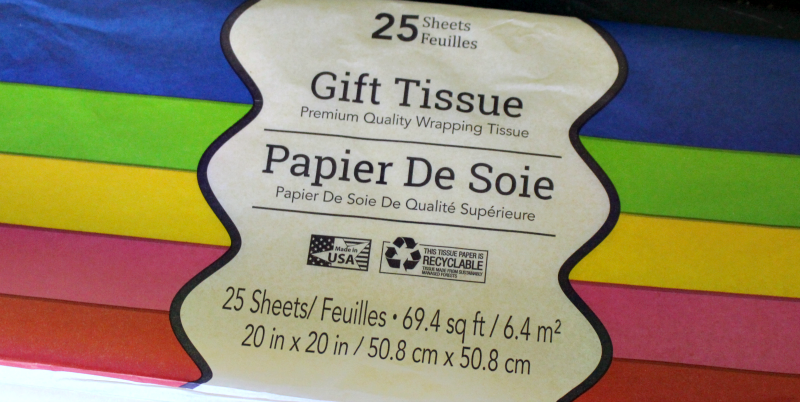 I saw some precut tissue paper at the thrift store, while looking for a metal basket. Now I am kicking myself that I didn’t buy it. This is a cute craft for a bbq party. This looks like lots of fun and I can think of several uses for them. Thank you for sharing with us this week at Celebrate Your Story, have a great week and a Happy Holiday. 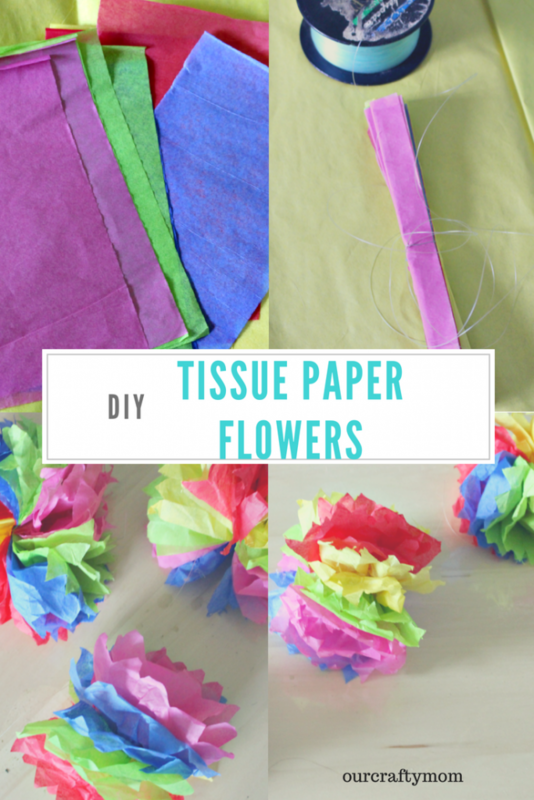 Tissue paper flowers are so fun and festive! Thanks for sharing the how to’s with SYC.